I am constantly thinking about my younger simpler days. I don’t know why but I just do. Everything seem so much better back in the day. And so one day I found myself in the cookie isle of Hong Kong Supermarket in Chinatown. I saw a kid holding a pack of McVities Digestive Biscuits and had a total flashback of myself when I was a kid eating those. I still remember for the longest time I thought these biscuits HELPED you digest. 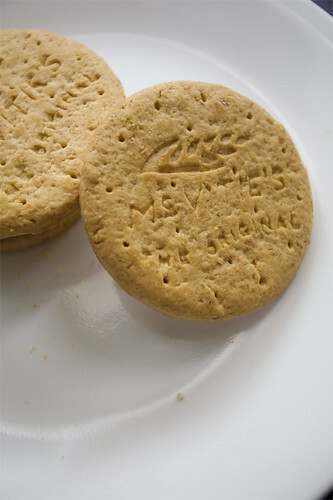 Like if you ate too much and your belly hurts, eat a couple of these fine biscuits and BAM bye bye tummie pains. 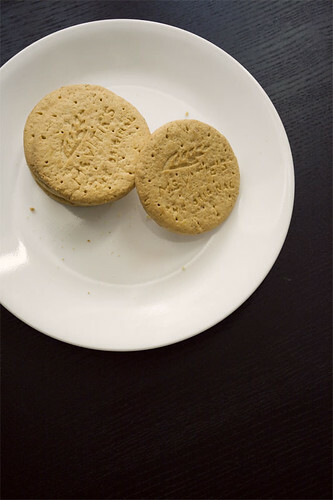 It wasn’t until just few years ago that I told my mom this and she said…I mean first she laughed and told me that no these biscuits are called digestive biscuits because they’re easy to digest. WTH?! So anyways, I bought a pack and cracked it open when I got home. I ate one and is glad to say the taste is still the same! It’s really great when some things don’t change.